High speed ferry built in 1989 at Valletta, Malta, as Marrajo for Trasmediterranea. Originally used on services around the Balearic Islands, after 1994 she did on occasion appear on other routes. 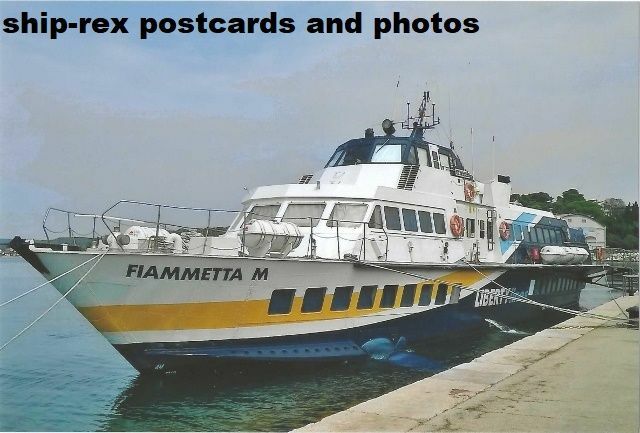 Sold in 2000 to Ustica Lines and renamed Fiammetta M, the company later becoming Liberty Lines.